2 by 3 Heroes: What I don't need is bad luck. That's from Weston at Fantastic Catch. 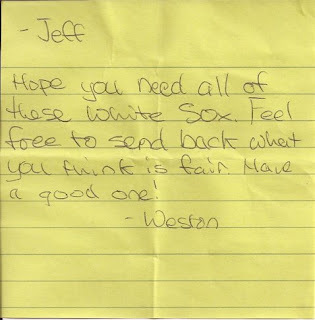 I think the envelope he sent was from a few PWEs, or maybe some trade, or probably just cuz Weston is a really cool kid. But it's the line "feel free to send back what you think is fair" is what freaks me out. 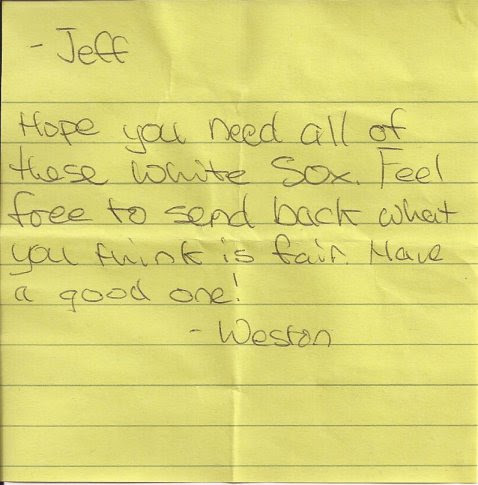 See, if Weston had filled it with Cubs, Tigers or a multitude of other MLB teams, I could find a few cards to send back. If it was an envelope of Red Wings, I know there is work my dog has done in the grass I can put in a box and affix a stamp. HEY - I'm saving those to eat later! Rookies that never really panned out. Golds. I had that Thome card (but with David Wright on it). I also have the die-cut Thome, but not the gold version. Bunting? Yes. OPC play at second? Yes. 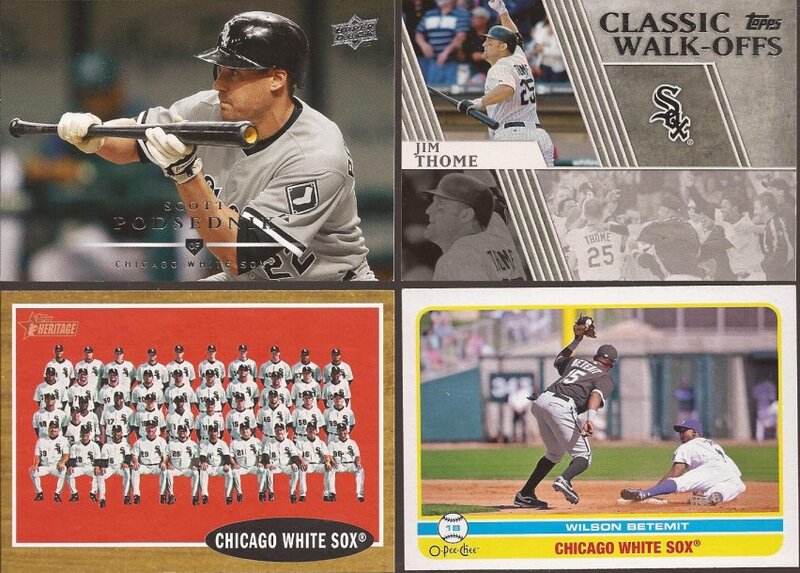 Nice Heritage team card and more Thome. Yes twice. Weston could have stopped there and the pressure would have been high. Then he goes and does this. That would be a Hope Diamond parallel. 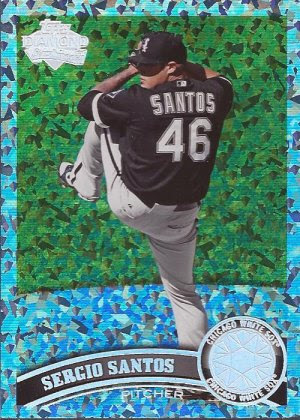 I have been hunting high and low for a White Sox Hope Diamond insert since I found out they existed a good year ago. #38/60. Funny stat: this is the 2nd card that has a run of about 60 that Weston has sent me. Months ago he dropped a mini gold in a trade envelope. Thanks a whole bunch for the awesome envelope, Weston. This envelope feels like some kind of chain letter that I cannot break. I hope I get more than 10 days to reply. Glad you enjoyed the cards so much. I don't know why I was still holding onto that, but thinking back on it I knew you would like it a bunch more than I ever would.